This is a story of colourful illustrations that will captivate your attention. 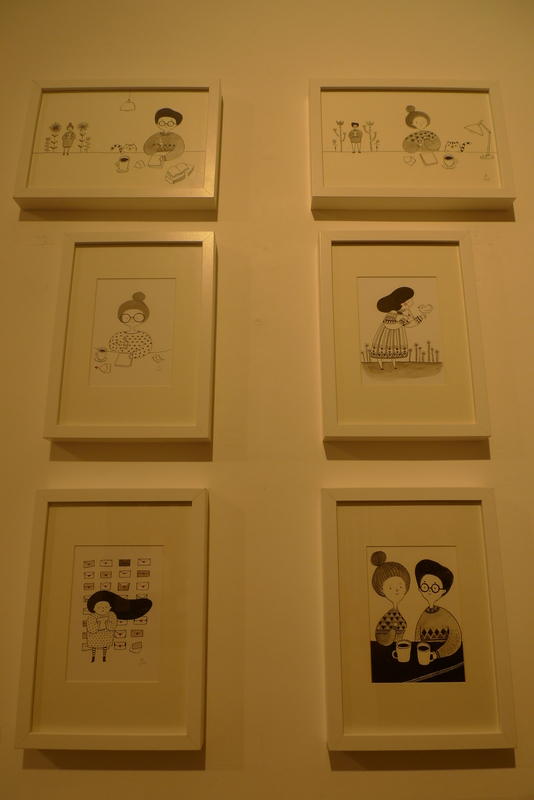 Yes, the artist, Kim Ji Eun, share her stories in London through her doodles with happiness. 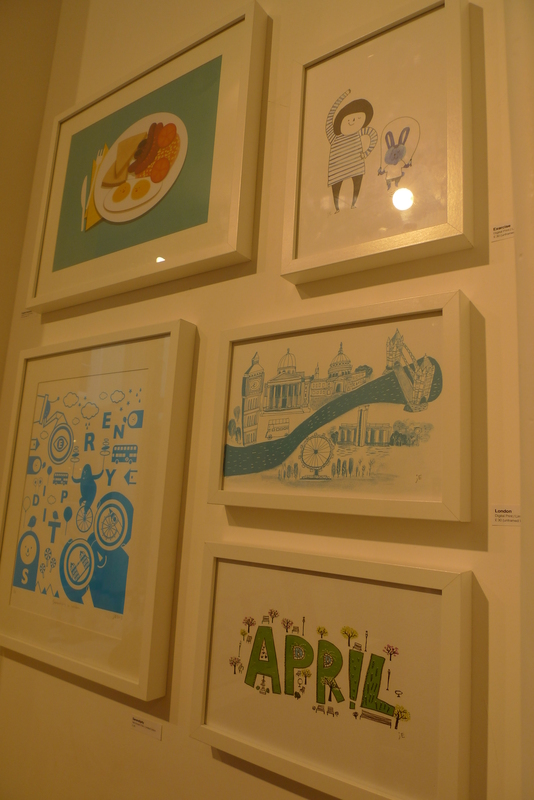 Ji Eun is a graphic designer and illustrator who came to London for further studies. At first, she felt lonely due to cultural differences and language barrier in a different country. However, she has the help from her friends and the people that she met that sparks her inspiration to put her imagination into drawings. She set up her own brand, The Drawing Hand, which showcases a number of illustrations that depict her stories in London and happiness. 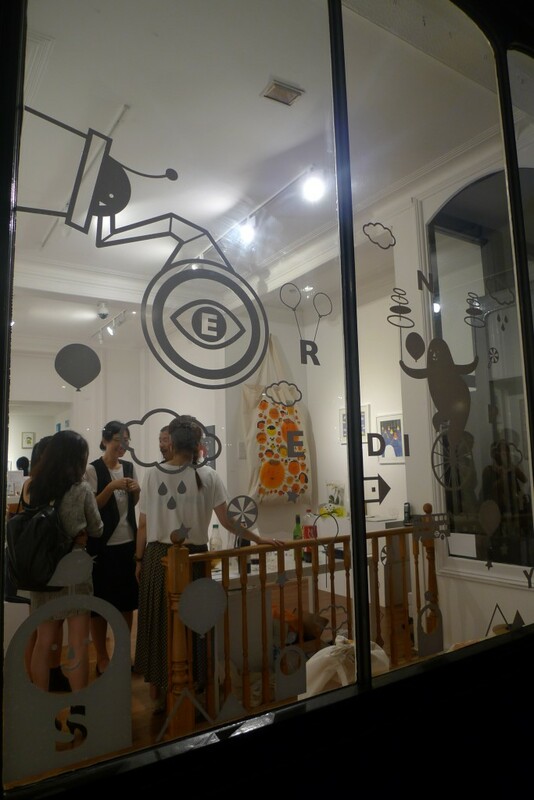 Last month, she had her first solo exhibition, Serendipity, at MOKSPACE, London. Serendipity means pleasant surprise which means that Ji Eun is glad to be in London to meet new people and make friends. 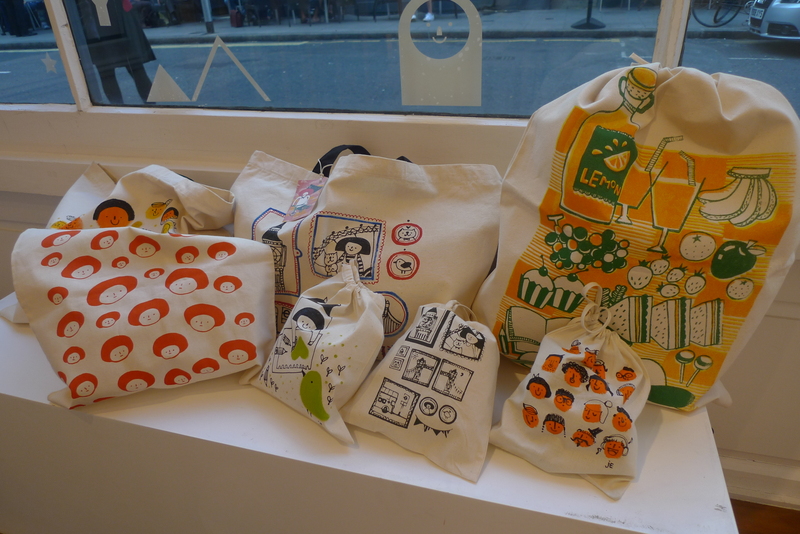 Through her experiences in London, she shares her stories through different mediums: canvas, digital prints, bags, and portable items (eg. postcards, badges, and mirrors). 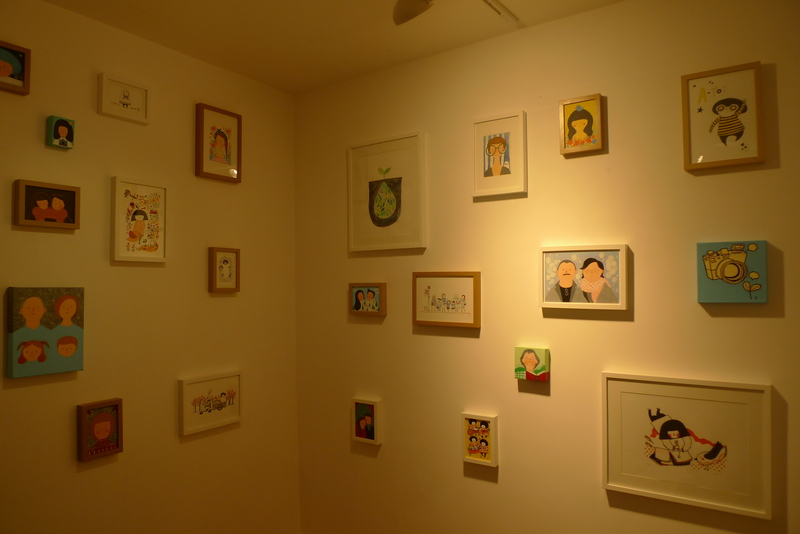 Here is the video of the opening exhibition at MOKSPACE. 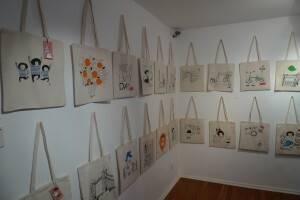 As I walked into MOKSPACE, the huge tote bag with different illustrations of orange faces welcomed me with happy smiles. I continued walk towards the end of the room and find little pictures of memories. The pictures of people that she had met in London. I spotted a few of her scrapbooks which consist of her drawings and inspirations. This is my favourite. I wished I could spend the whole time reading her scrapbooks. I want to read her illustrative stories and inspirations. 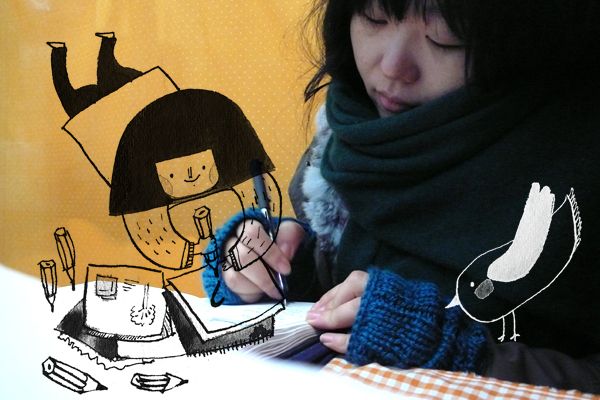 Her drawings are definitely an illustrative storybook that everyone could read. 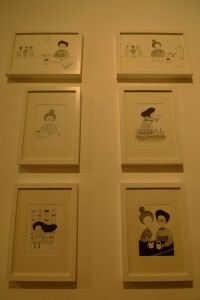 I walked around the exhibition and find that all her illustrative drawings made my mind happier. It made always think to look at the bright side of the life. I felt that I was exploring Ji Eun’s memory lane in London. 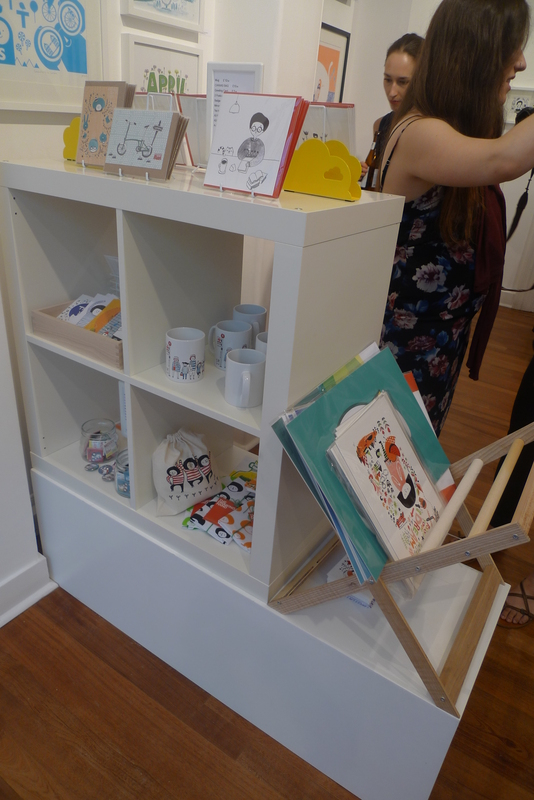 There are even some adorable and colourful items, such as digital prints and tote bags that you could buy. 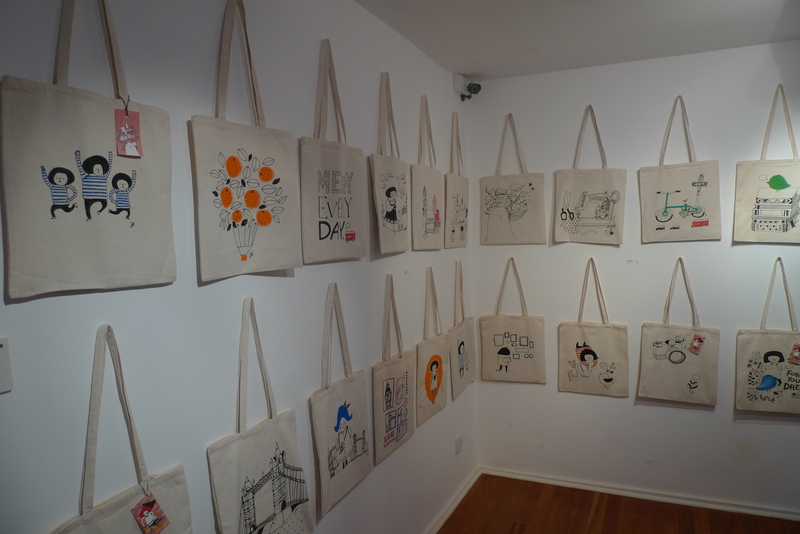 There were so many beautiful, cute, and inspirational illustrations on tote bags that you wonder which one would you buy and like best. Decisions, decisions. Which tote bag you want to buy? Ji Eun has also take another initiative to implement her combination of illustrations into a video animation. Here is a video about her favourite food, topokki. 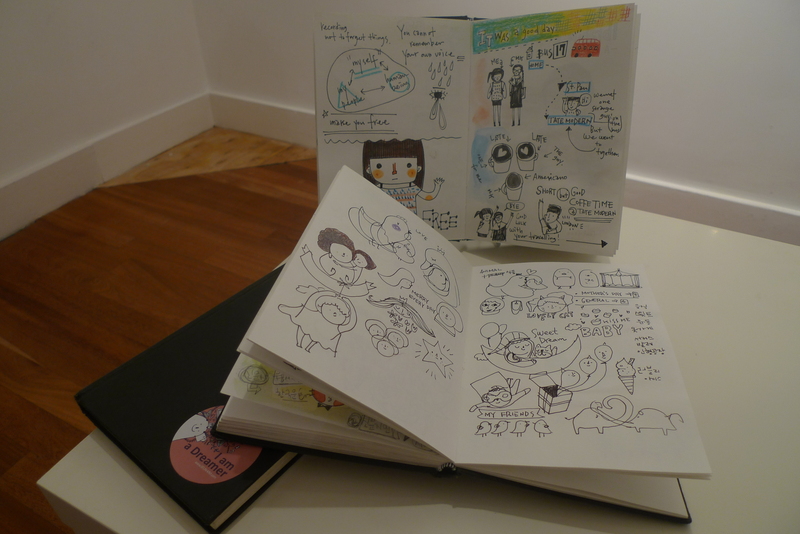 Later in the evening, I left MOKSPACE with happy thoughts and smiles. From my point of view, she wants to share her stories in London to other people who are having the ups and downs in life. She wants to let people know that different people who come in a different country can be difficult but there are always the happy side which is breaking the barriers and meet new people. 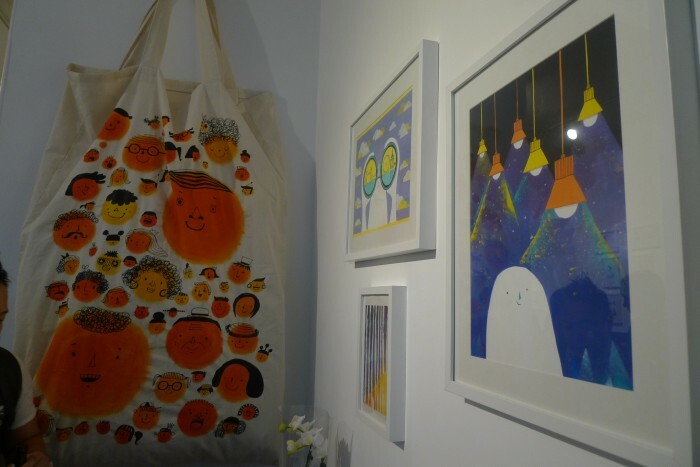 Her illustrations definitely bring smiles, colours, and happiness to the people. She has brought the people down through her memory lane with happiness. 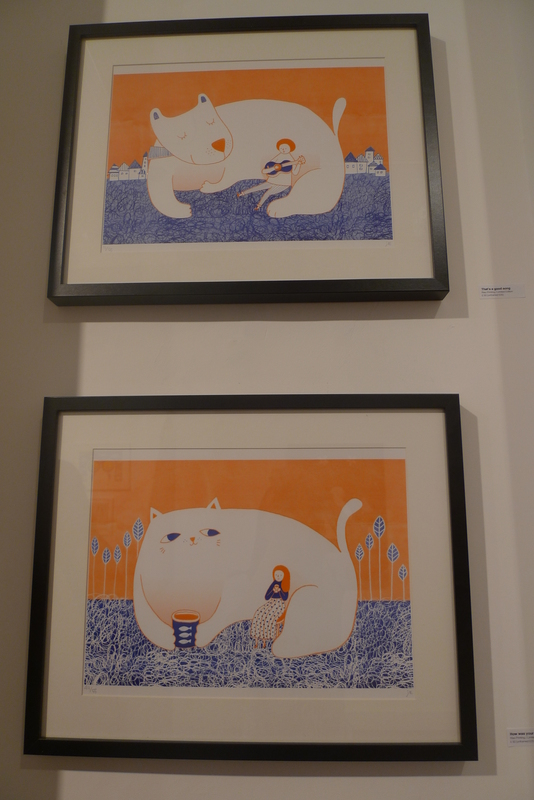 When I saw these illustrations, I see happiness with colours that have stories to tell. 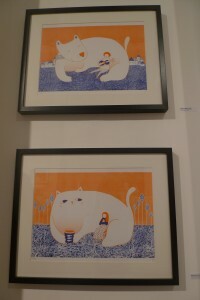 Thus, her illustration works bring joy to every single person. Even if it’s someone new, that person, including you, will have a smile on the face. 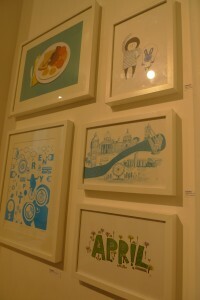 To check out her portfolio of illustrations and designs, visit her website and Facebook.